The outgoing vaping rival, Dr. Scott Gottlieb, will depart his post as chief of the U.S. Food and Drug Administration (FDA) on April 5. He has no plans to ride silently into the sunset. 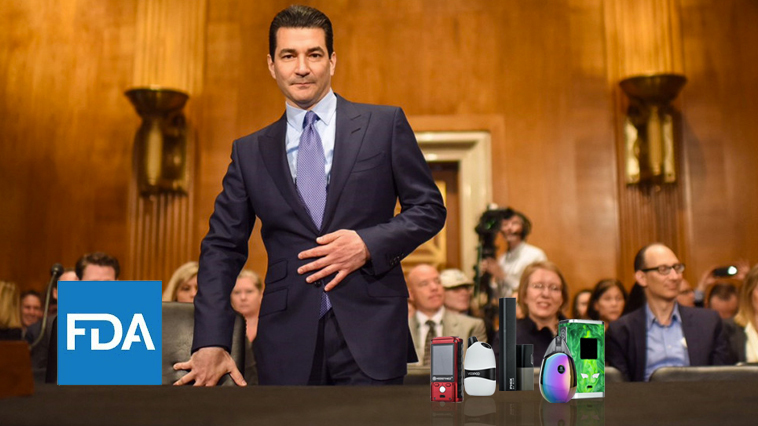 Before exiting his office, Gottlieb said he will continue to investigate pods to determine if the federal agency should ban some of the products, latimes.com reported. The “disconnect” Gottlieb said existed during the meeting apparently stemmed from a difference in philosophies between health officials and the rapidly growing vaping industry. Gottlieb established a template for the FDA to follow when former National Cancer Institute Director Norman E. Sharpless takes over. To stave off any potential pod bans, vaping companies, big and small, will be forced to prove their top target market will remain adults attempting to quit combustible cigarettes and not minors. He also questioned the Altria’s big deal with JUUL. During the fourth quarter of 2018, Altria invested $12.8 billion in the San Francisco-based vaping giant. JUUL owns more than 70 percent of the U.S. market. While still under his watch, Gottlieb made noise in March by releasing a “draft guideline” of his plan to curb teen use. It recommended stronger enforcement of retail sales to minors. Gottlieb refuses to go away quietly — which is bad news for vapers.